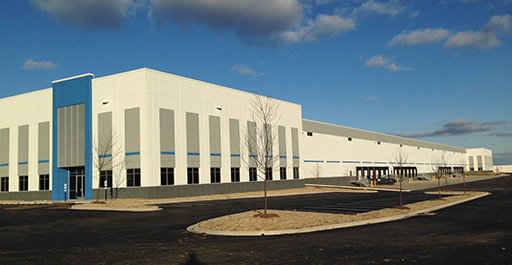 The development of this Class A industrial precast facility was designed to offer single- or multi-tenant suites ranging in size from 90,000 to 205,648 square feet. The building features cross-dock or single load configuration with a 32′ clear height and office space to suit. Northwest Pointe currently offers up to 44 exterior truck docks with two drive-in doors (expandable) and parking for 343 cars (expandable) with on-site trailer parking available. Northwest Pointe is located on a 20-acre land parcel within the Northwest Corporate Park in Elgin, Illinois.